The U.S. Supreme Court has agreed to consider an important Fourth Amendment case involving a police officer’s mistake of law. Given that law enforcement is not infallible, the decision in Heien v. North Carolina could have significant consequences. Maynor Javier Vasquez was driving along a North Carolina Highway when he was stopped by police. His friend, petitioner Nicholas Heien, was lying under a blanket in the back seat. Officer Matt Darisse informed Vasquez and petitioner that he had stopped them “for a nonfunctioning brake light.” However, North Carolina requires all vehicles merely to have “a stop lamp,” N.C. Gen. Stat. § 20-129(g) (emphasis added), and no North Carolina appellate court had ever held that this statute requires two working lights. 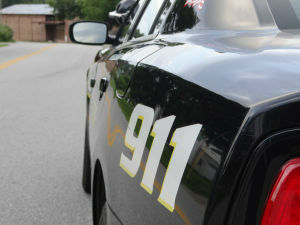 On appeal, the North Carolina Court of Appeals held that the stop violated the 4th amendment because “an officer’s mistaken belief that a defendant has committed a traffic violation is not an objectively reasonable justification for a traffic stop.” However, the North Carolina Supreme Court reversed this ruling in a 4-3 decision holding that, “so long as an officer’s mistake is reasonable, it may give rise to reasonable suspicion.” A dissenting judge argued that the decision was fundamentally unfair because citizens must abide by the maxim that “ignorance of the law is no excuse” while police can be ignorant of the law. The Fourth Amendment protects Americans’ rights to be secure in their persons, and against unreasonable intrusion by the government. With regard to investigatory stops by police, the Supreme Court has held that the government may intrude on an individual’s personal security and privacy based solely on reasonable suspicion “that criminal activity may be afoot[. ]” Terry v. Ohio, 392 U.S. 1, 9 (1967). With regard to traffic stops, the Court has stated the following: “[E]xcept in those situations in which there is at least articulable and reasonable suspicion that a motorist [has violated the law], stopping an automobile and detaining the driver . . . are unreasonable under the Fourth Amendment.” Delaware v. Prouse, 440 U.S. 648, 663 (1979). The specific question before the Court is “whether a police officer’s mistake of law can provide the individualized suspicion that the Fourth Amendment requires to justify a traffic stop.” As highlighted in an amicus brief by the National Association of Criminal Defense Lawyers (NACDL), the question has divided the federal courts of appeals and state courts of last resort. Accordingly, the Court’s decision will provide much needed guidance to law enforcement officers, courts, prosecutors, defense attorneys, legislative bodies, and the public at large.